This image is not photoshoped. If you are thinking how it's possible for the water tap to be suspended and in flow in the air without the source? Here's the truth: it isn’t. 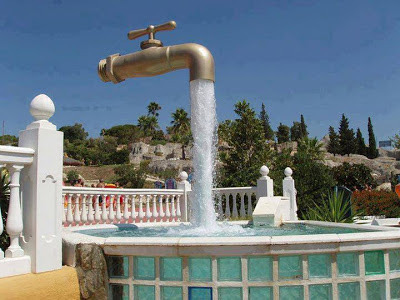 There is infact a pipe going through the water flowing down which is holding the 'Tap' in the air and also the source of water.